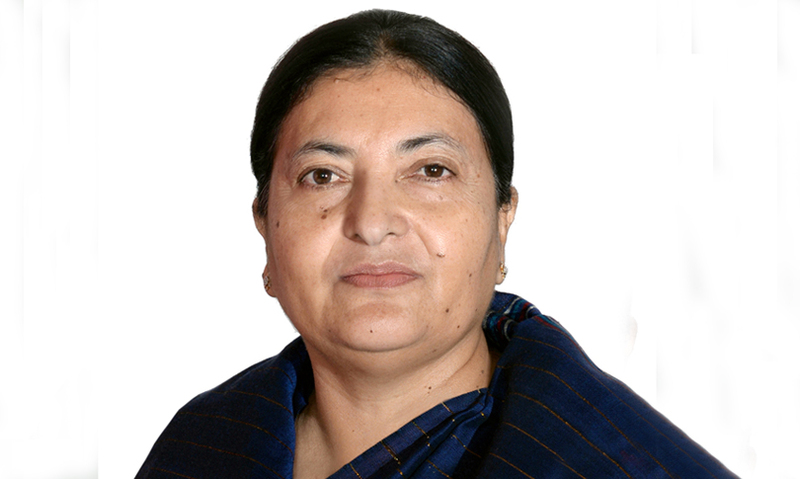 KATHMANDU, Oct 19: President Bidya Devi Bhandari has extended her best wishes to all the Nepalis within the country and abroad on the occasion of Bijaya Dashami today. In the message, President Bhandari has stated that our cultures are the greatest treasures of the country, contributing significantly in maintaining social unity, communal amity, mutual goodwill and fostering fraternity. The festival, as President Bhandari puts in her message, would offer an opportunity for the reunion among the families and exchange of happiness. Stating that the culture of worshiping agricultural tools and various plants during the Dashain in Dashain Ghar, the President argued, had illustrated how integral relations agriculture and plants had with human. 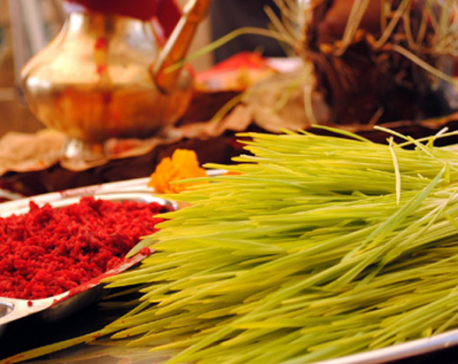 The Head-of-the-State opined that worshipping of plants of various species during the Dashain had contributed in raising awareness about the conservation of the agricultural system and vegetation besides disseminating a symbolic message to make the human life happy and prosperous. Furthermore, she stated that the festivals that have been observed in our society since time immemorial are the pillars to keep our cultural identity and unity intact and to unite the geographical, religious, racial, cultural and linguistic diversity in the country. President Bhandari was of the confidence that the festival as Dashain would help develop patriotism in people and inculcate respect towards nationality. Similarly, Vice-President Nanda Bahadur Pun has extended his greetings and best wishes on the occasion of Bijaya Dashami festival. In the message, Pun expressed that the festivals would greatly contribute to maintaining tolerance as well as social amity, mutual goodwill, unity and common identity by respecting the religious, cultural, ethic and linguistic diversity of our country. On the same occasion, Speaker Krishna Bahadur Mahara said the festivals create equal opportunity for all Nepalis irrespective of caste, colour, religion and language. 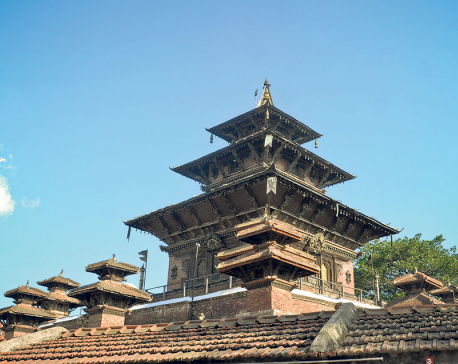 He wished peace, prosperity and happiness to all Nepalis on this occasion. Also, Nepali Congress President and former Prime Minister Sher Bahadur Dueba wished all sisters and brothers living in the country and abroad peace, prosperity and happiness. 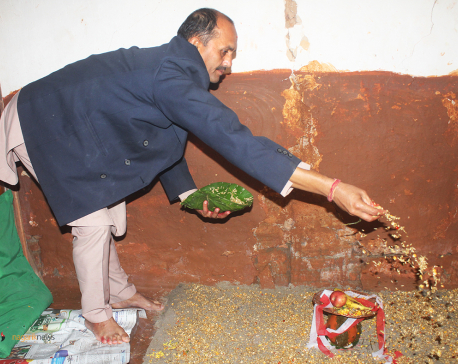 He wished the Bijaya Dashami would inspire all to work for the country sorting out the difference. CPN Chairman and former Prime Minister Pushpa Kamal Dahal extended best wishes for all Nepali’s progress and prosperity. Also extending best wishes on this occasion is former chairman of the council of ministers Khilraj Regmi.